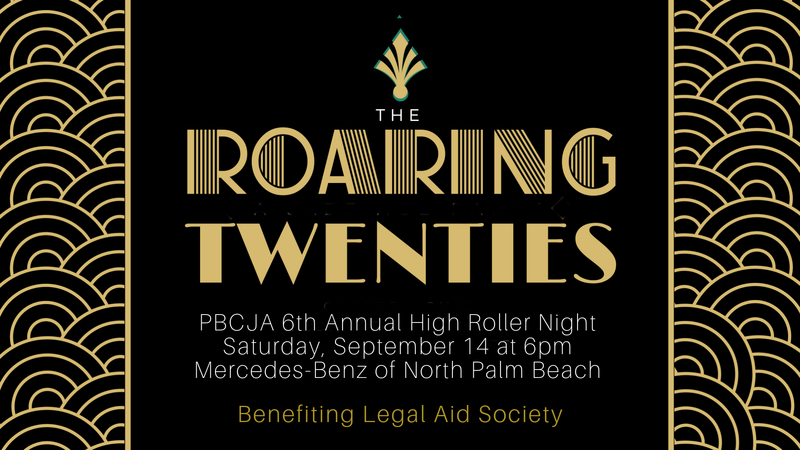 Join us for our 6th Annual High Roller Night benefiting the Legal Aid Society of Palm Beach County! Come enjoy a swanky night of fun, networking, games and great food. This year we will have a Roaring 20s theme, so come dressed to impress! Tickets include heavy apps, dessert and OPEN BAR!!! A portion of our proceeds will be donated to Legal Aid Society of Palm Beach County. Email info@pbcja.org for more info.